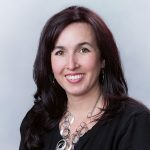 Erin Johnson — founder and owner of Bottom Line Accounting, LLC — is a certified QuickBooks ProAdvisor and experienced accounting professional offering full business solutions to the Hampton Roads area of Virginia. Her specialties include accounting, bookkeeping, payroll processing, and QuickBooks consulting. For other services and pricing details, click here. Work For Bottom Line Accounting, LLC? Claim This Page.